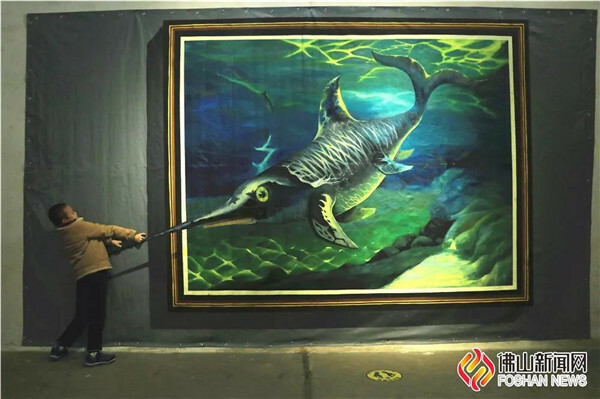 Full tank of rice wine embraces you；cute elk offers flowers for you；the fish in the deep sea swims to yous...3D art exhibition appears in Foshan’s centennial commercial port；Let’s take a photo with those 3D paintings! 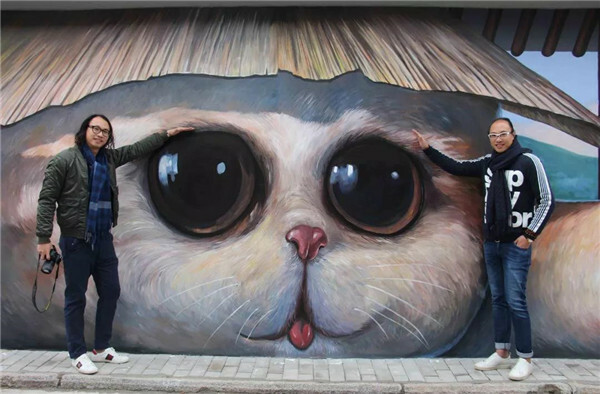 Recently, China's top visual illusion artist, the internationally renowned 3D ground painting master Wansbrothers, drew in the Danzao, Nanhai. 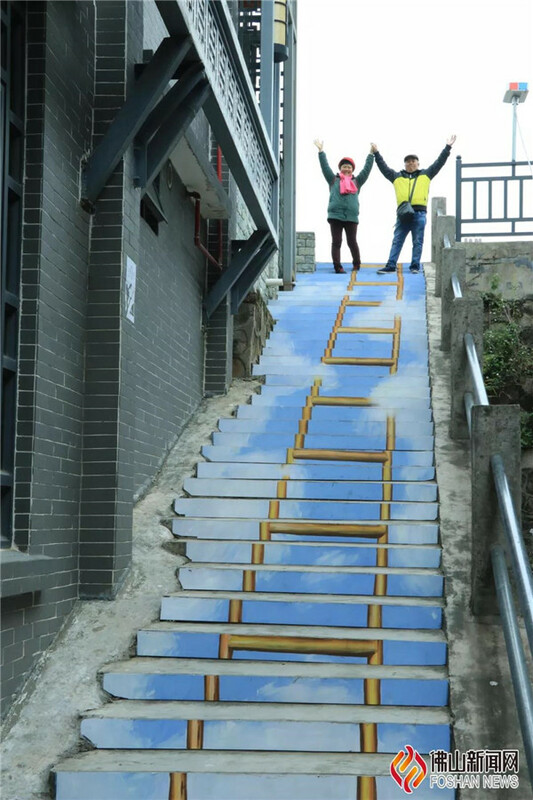 Dozens of large-scale 3D paintings such as “Satisfaction”、“High ladder” are exhibited in Luoxing Country Fair for free. The Wansbrothers took a group photo with their works. The Wansbrothers are composed of twins, namely Wan Yiju and his brother, Wan Yiheng. The art exhibition includes 3D paintings, 3D ground paintings, 3D architectural paintings and 4D paintings. 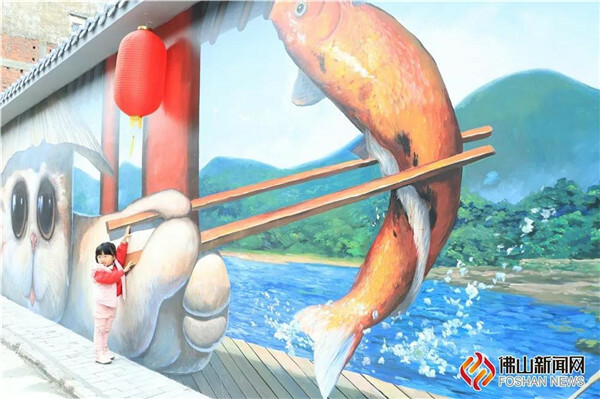 It consists of outdoor and indoor painting exhibition, presenting a wonderful artistic feast for the public. Why not come to watch the art exhibition, travel the old streets and experience interactive scenes together? 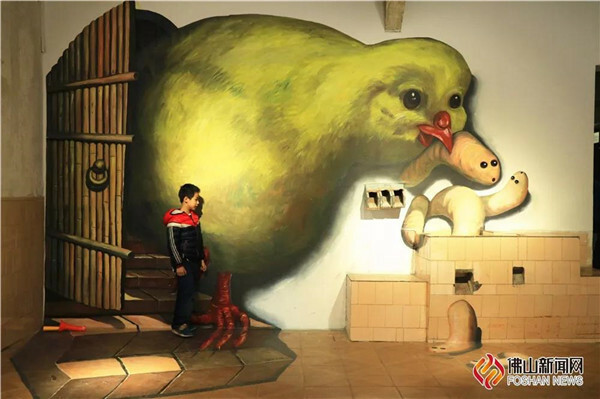 As you look up and turn around in Zhongshan Street, Luoxing Country Fair, perhaps you can meet interesting paintings. The entrance of Luoxing Country Fair, Yongxing Street, Sanmin Street walls, stairs leading to the embankment... Every inconspicuous place can be drawing paper. 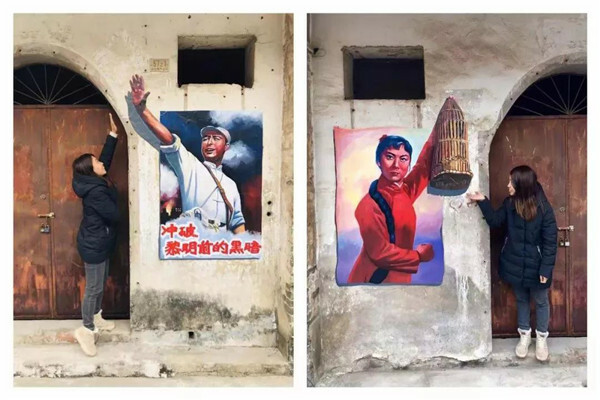 The visual illusion artist Wan Yiju said, "I hope that the public can review the old days and the vitality of old villages can be renewed through the art form." Founded in the reign of Emperor Kang Xi of the Qing Dynasty and known for its its rich bamboo products, Luoxing Country Fair is again lively with artistic elements. Look at this naughty little boy who is about to take the bamboo basket. There are also many creative masterpieces that incorporate local cultural elements. 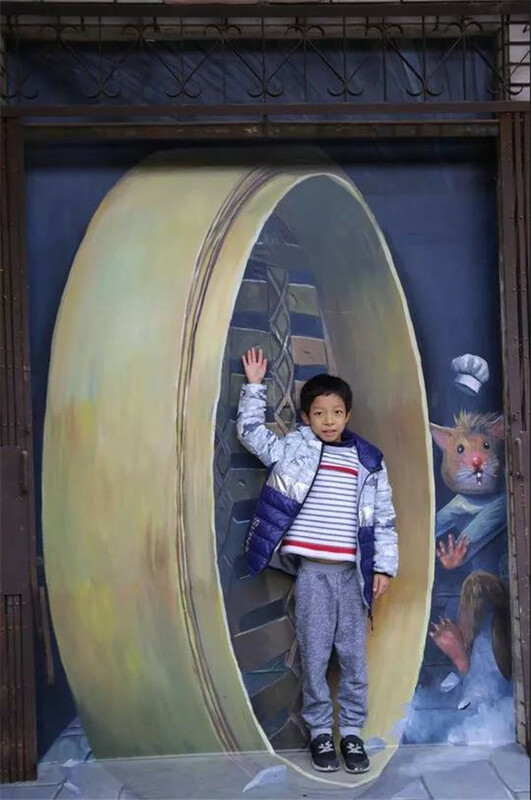 In Zhongshan Street, Luoxing Country Fair, the paintings in the 3D indoor art venues are even more marvellous. 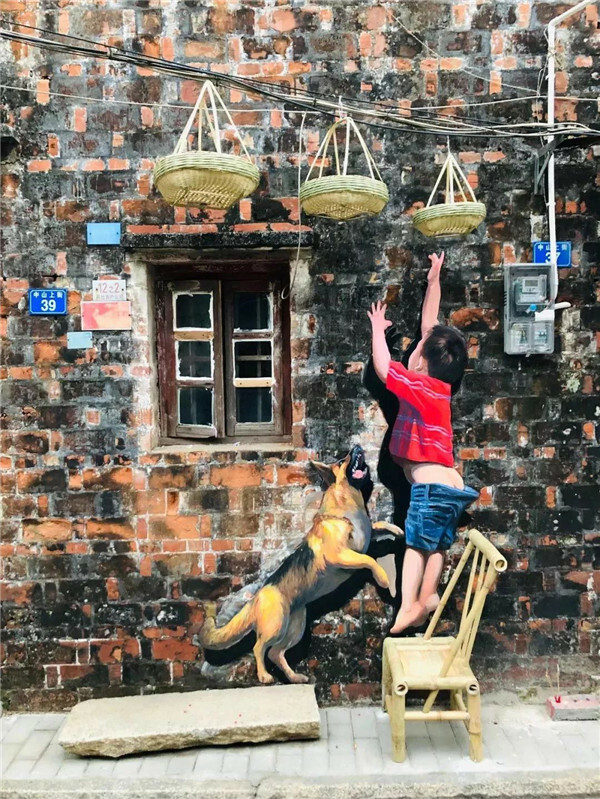 3D paintings with different themes are presented in corners, bricks, concrete floors. In the exhibition hall, you can enter the three-dimensional space through the artifice position, and then unique effect of the combination of real people and pictures will emerge. 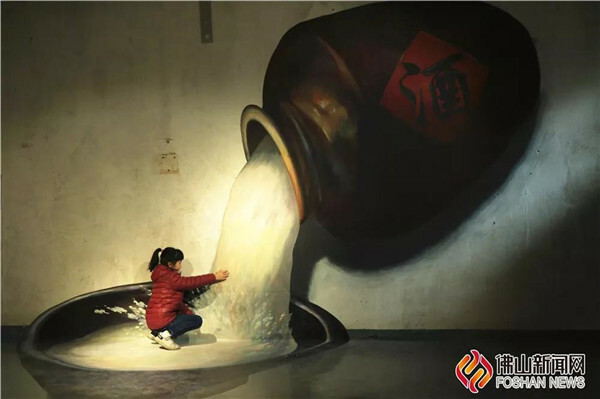 Let’s touch the magical 3D visual art to experience the surprise and charm of 3D painting. There is the best camera shooting point in front of each 3D painting and audience have access to be a "master of photography"! More recommendation: the third Danzao Town Bamboo Culture Festival will last until January 13th. 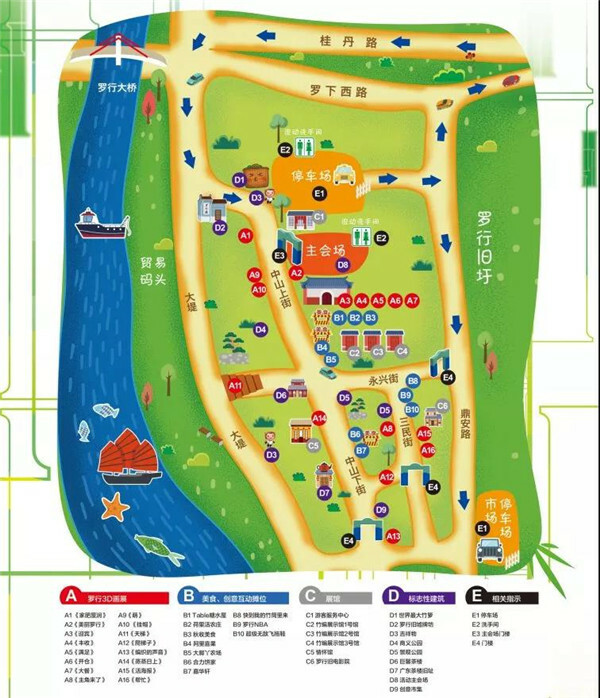 The creative and interactive food booth, the bamboo display hall and the Luohang old cinema are all free. Click on the image below to view the map.